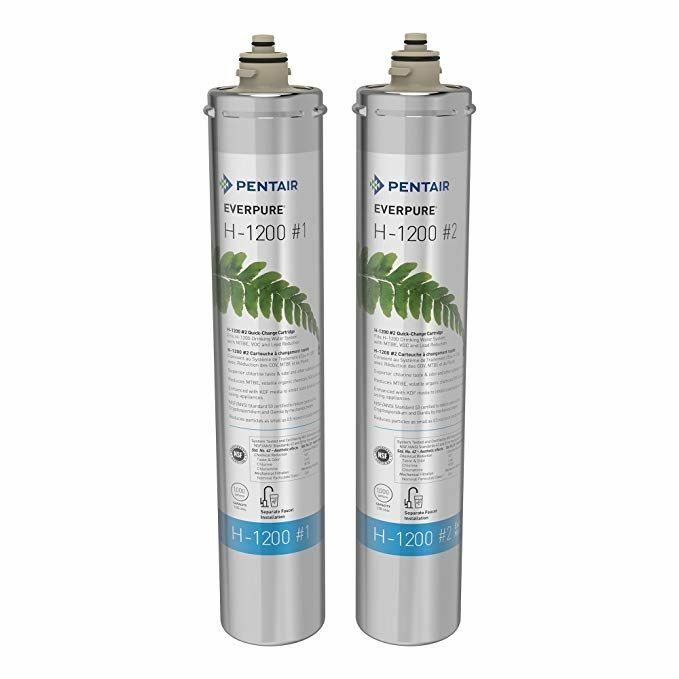 Superwater.com Offers Discounted ( **Class A ) FedEx and UPS Ground Shipping on all Pentair Everpure H-1200 # EV9282-01 / EV92828-03 Cartridge Set orders. **Class A Shipping is only applied one time per order. 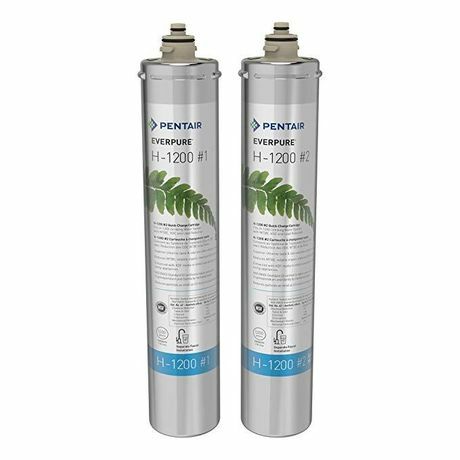 The # EV-928201 Pentair Everpure H 1200 Cartridge Set Provides greater bacteriostatic control over all other Everpure H Series cartridges, and ships complete as a set. 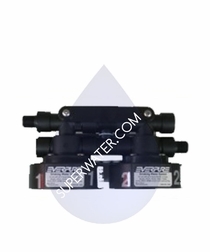 - Removes Lead to below the Federal Action Level of 15 ppb - Asbestos fibers. - Removes Cysts such as Giardia, Lamblia, Entamoeba, Histolytica and Cryptosporidium parvum. Removes Volatile Organic Chemicals (VOCs), including THMs MTBE's. - Particles 1/2 micron and larger in size & Limescale build-up in appliances that use water. - A 1000 to 1500 gallon capacity. - The H1200 # EV-928203 Cartridge Set has greater protection against the following: Methyl Tert-Butyl Ether (MTBE), Volatile Organic Chemicals and suspected carcinogens such as THMs. - Everpure's H 1200 Patented Precoat Design removes particles 1/2 micron and larger in size including Cyptosporidium, dirt, bad taste and odor, chlorine, mold and algae.